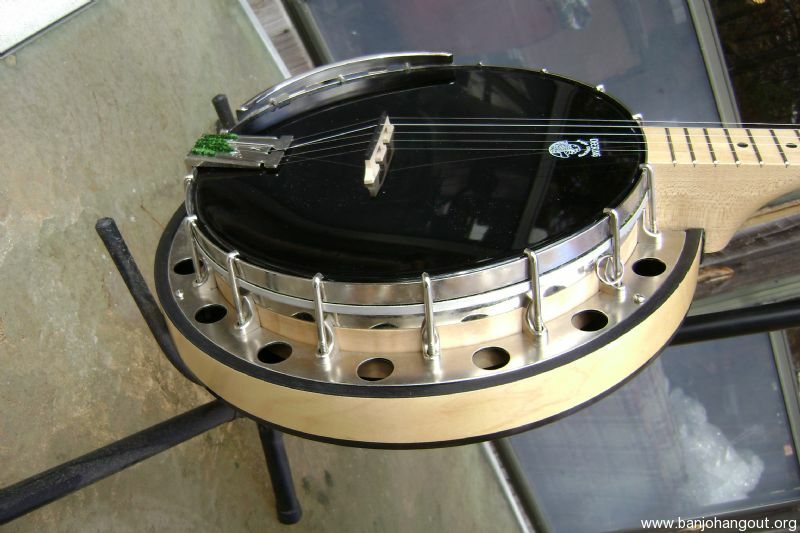 I have here a Deering Goodtime 11 Special 5 String Resonator Banjo, and Chipboard Case. 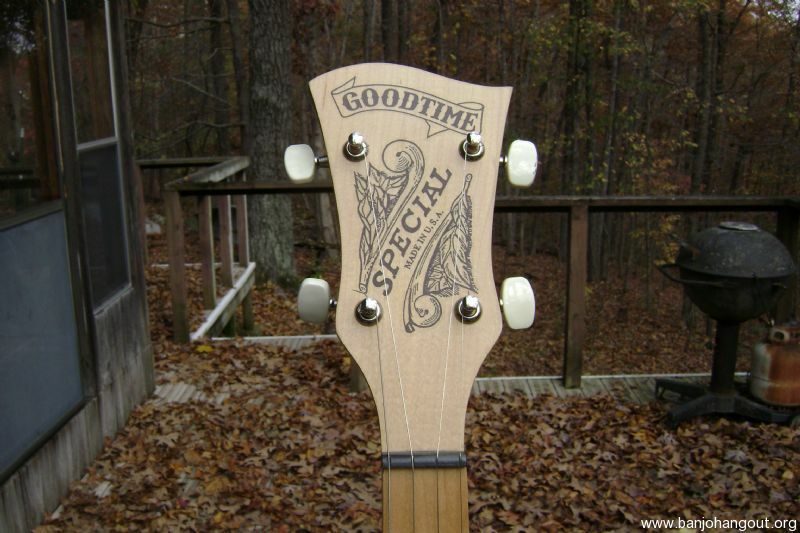 The Special Goodtime Banjos have a Tone Ring in them that the regular Goodtime 11 Banjos don't have, and really adds some punch to them. 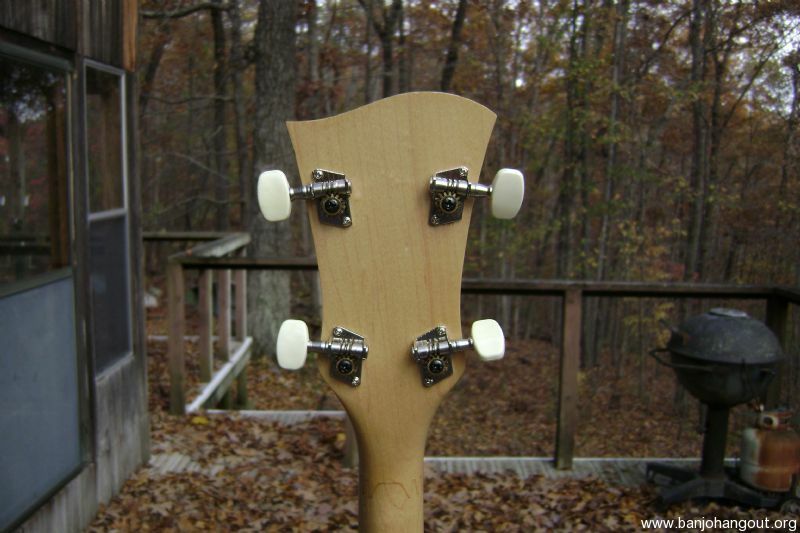 If you want to be heard in a Jam, this one will do it. 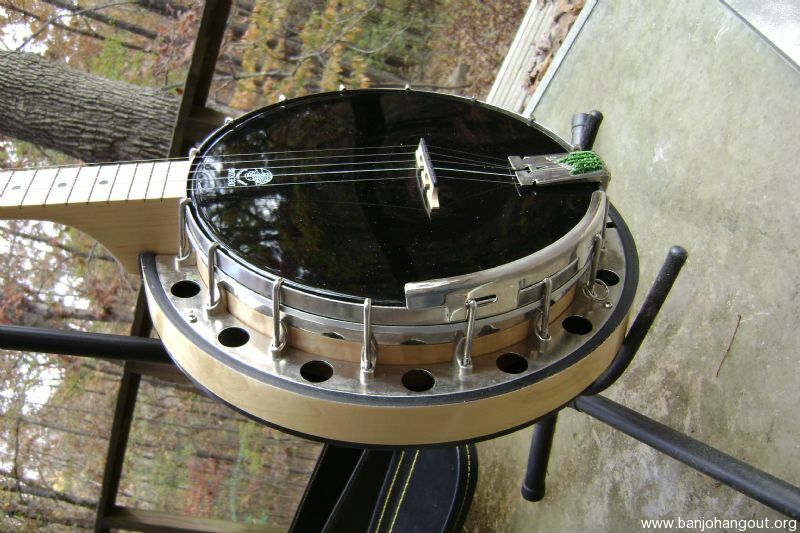 Although it wasn't on the Banjo when I took the pictures, I will put one of my Spillway Dam Bango Bridges on the banjo that sounds the best on it, and if you are a Clawhammer Style player, I will put one of my Clawhammer Special Bridge on it with the raised 5th string. 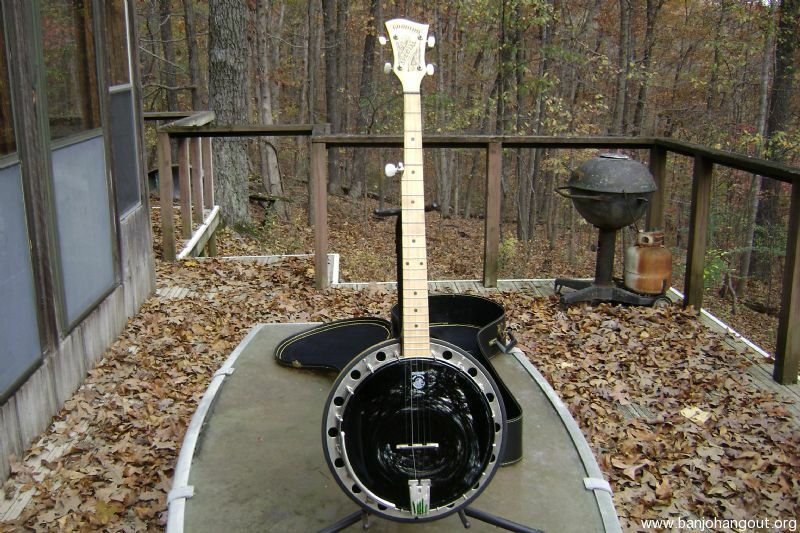 This Banjo has been used, and there are some scuffs here, and there, but overall a pretty nice banjo. 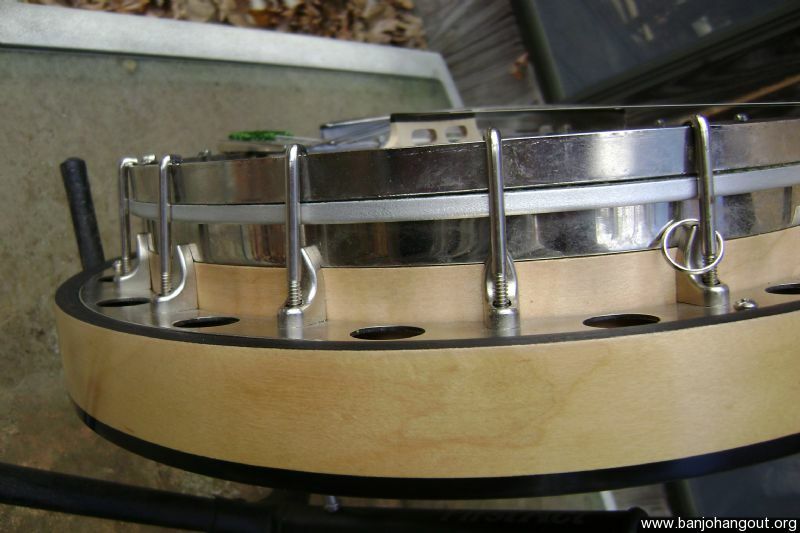 Someone installed some Spikes but were removed when I got it, and it doesn't look like they were in the correct locations, so I filled the holes. 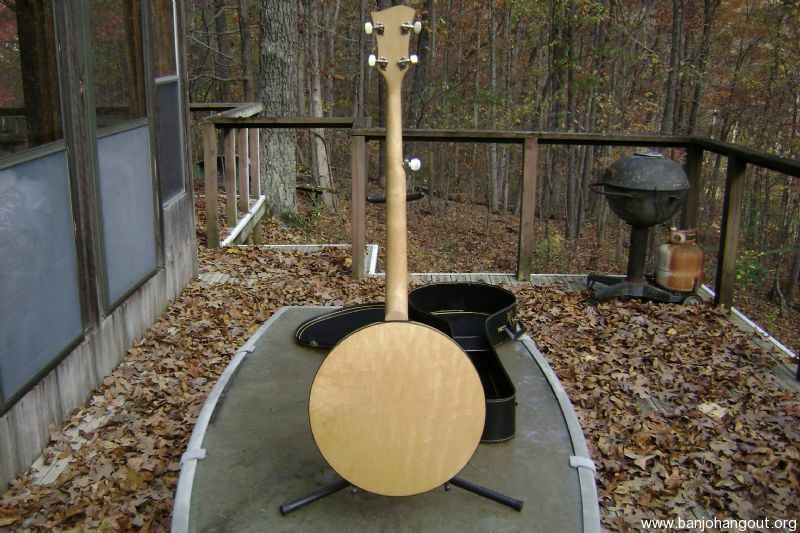 If you prefer a Hardshell Case, I can swap out the Chipboard Case for a New Hardshell Case for an additional $40 exchange. 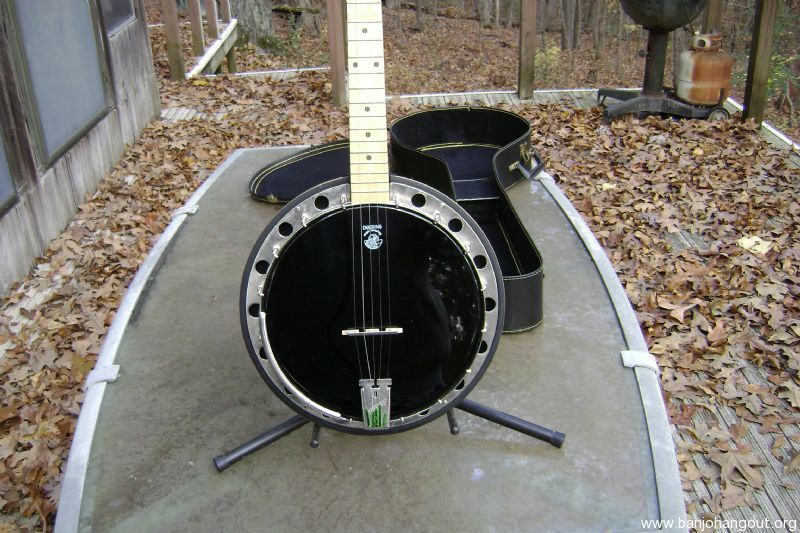 This would be a nice beginning banjo, or a good banjo to throw in the back of the car when going to a festival, or Jam, when you don't want to take that expensive banjo out. If you use Paypal please add 3% to the Total. 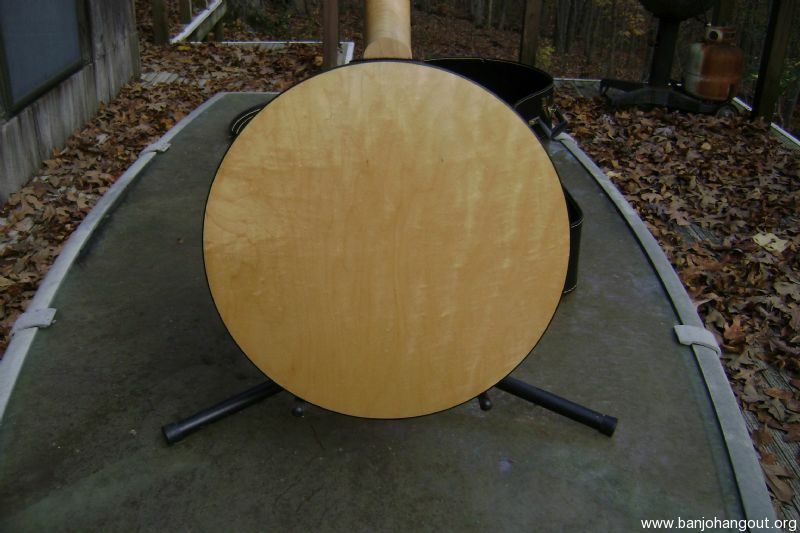 You can contact me through the banjohangout if you need additional information. This ad will automatically expire 6/19/2019 9:08:20 AM unless updated before that date. To keep the system current, ads expire if not updated for more than 60 days.